I am shopping for a new laptop and the dual monitor one that I wanted is still unavailable to normal people. Plus, I am kinda rethinking the portability of that box. Check this one out: Get an Acer Aspire 5551-4937 - 15.6 in. Notebook, AMD Turion II P520 (2.30GHz), 4GB DDR3 Memory, 320GB HDD, ATI Mobility Radeon HD 4250, Windows 7 Home Premium 64-Bit for $449.99, a $130 Savings! Dude, I remember my first laptop, a Dell Inspiron 3000. Seems like it had a 233mHz processor, a ten gB harddrive, maybe 128 mB of RAM, and no burner. If I am not mistaken, it cost about four grand. Then I bought a Micron that was about three times as powerful as the Dell, at a cost of about three grand. I had a Gateway, another Dell, and finally I bought the Compaq that I currently use. They all cost way more than this Acer. Of course, the Acer has marginally better specifications than this Compaq, but my burner no longer works and mine doesn't have a webcam. Not that I really NEED a webcam, but it would be cool to have. 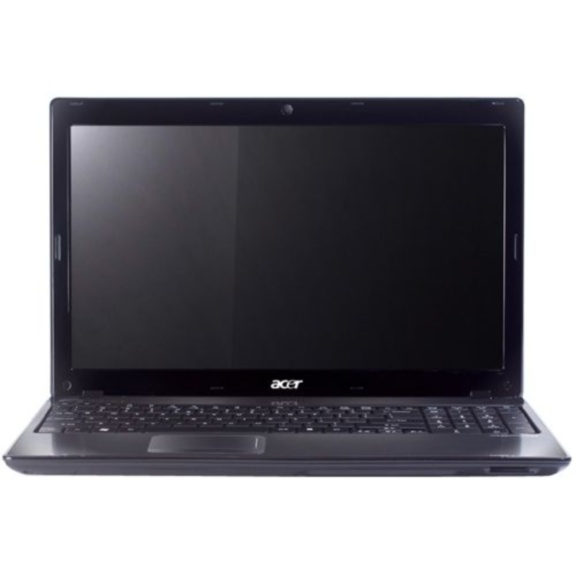 Plus, the Acer has double the front-side bus that this Compaq has and has Windows 7 Home Premium. The Compaq runs XP, but did y'all try out that damned Vista crap? Dude, that reminded me of Windows Millennium. What a dog. Anyhoo, if you buy one of these, I get a check. I will like you if you do something that sends me a check. Personally, I only need about twelve of those 3-packs for archiving. Unless you're in need of a laptop for gaming or processor intensive tasks, I can't recommend an Asus EEE netbook more. It's my favorite toy right now. It would be my second favorite toy if I owned Jen Sterger. Thank you to the entry. I just about handed your website up in Yahoo but now I am glad I checked it out and received to go through it. I am surely a little far better informed now. I am aware rather a few folks that will want to examine it out. They'll for certain appreciate the heck out of what I just read very. Someday I'm going to get how to use my typepad sign-in name so that I won't be associated with other "anonymous" types that thank you for your blog and "I'm sorry if I go a little bit off topic" and such. Anyway, you've heard the speaker of the house is a bit of a whore? Andy's got the picture to prove it, and she's not improving whore's reputations. Mark Levin poked her in the eye today, if was beautiful. ohhh now I get it. seems that marc in calgary may be a bit of a Pamela Geller groupie. Who in the world doesn't enjoy reading Geller's stuff? Well, other than Joy Behar.